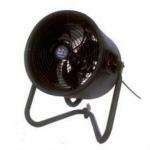 These powerful fans are designed specifically for professional performance. Use them on stage to simulat wind, or to enhance the output of other effects machines (confetti, bubbles, snow, fog, haze, etc.). These machines supplement the small blowers built into snow and bubble machines, allowing the effect to cover a larger area and/or blast your product sky high!